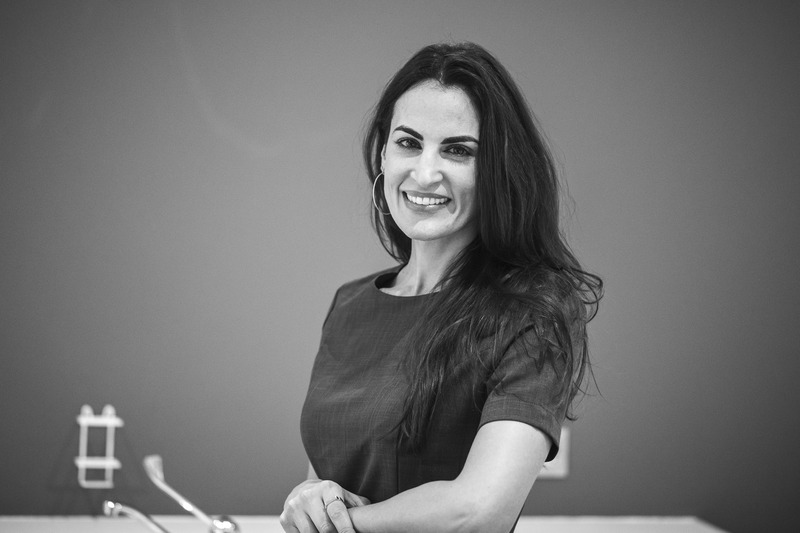 Eleni qualified in Greece in 2002 and moved to London the following year to start a Masters in Prosthetic Dentistry at the Eastman Dental Institute which she completed in 2004. 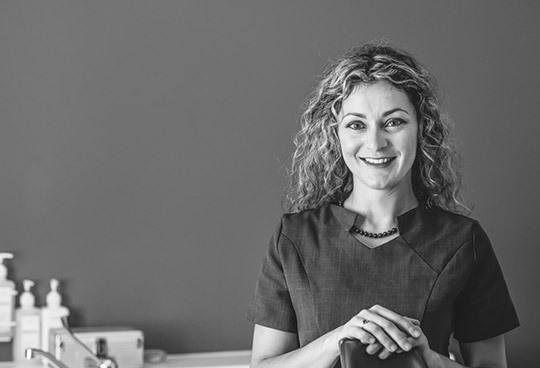 Since then she has undertaken extensive postgraduate study in aesthetic restorative dentistry in Europe (UK and Italy) and in USA (New York, California and Florida) and in the prosthetic aspect of implant dentistry in London. In 2007 she passed her Masters Level in Aesthetic Dentistry at the world-renowned Rosenthal Group in New York University. 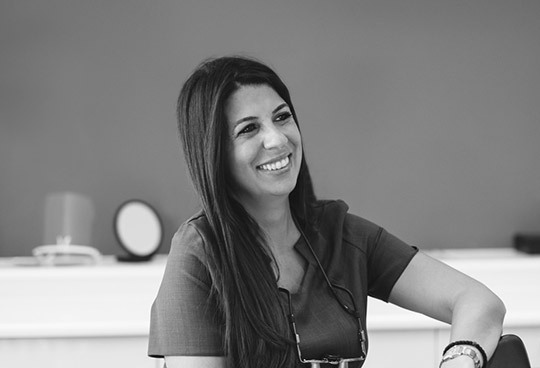 Eleni’s focus is on prosthetic and cosmetic dentistry and she also has a keen interest in occlusion and temporomandibular joint problems which has led to many successful and non-invasive treatments of migraine and tension headache sufferers. Iro moved to the UK in 2001 to study for her dental degree at the University of London. She has attended numerous postgraduate training courses in areas such as restorative dentistry, invisible braces and teeth whitening. Iro strongly believes in giving every patient a 5 star experience with concern not limited to the dental result but to the comfort of the patient throughout the treatment. In her free time, Sandra enjoys playing sports, practicing yoga and meditation. She has taken part in many charitable activities over the years, most recently she traveled to China to provide dental education to deprived communities. 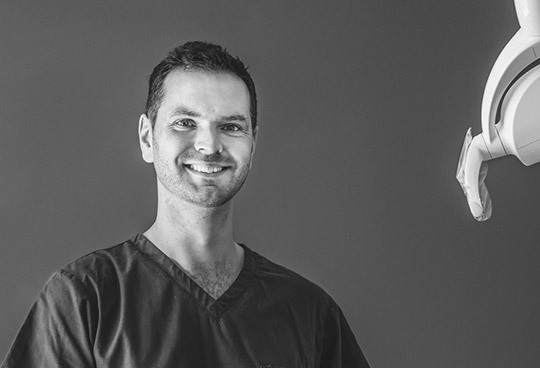 David studied dentistry in his home town, at the University of Glasgow, and graduated with commendation in 2005, having already achieved an intercalated BSc(DentSci) in Anatomical Science in 2003. Following graduation, David moved to London, working in the community dental service followed by hospital training positions in oral surgery, restorative dentistry, paediatric dentistry, oral medicine and dental radiology. He was accepted as a Member of the Faculty of Dental Surgeons at the Royal College of Physicians and Surgeons of Glasgow (MFDS RCPS) in 2009. Following his hospital roles, he worked in general dental practice in West London, where he developed his interest in endodontics (root canal treatment) and decided to pursue specialist training in this field. David entered a four year specialist training programme in endodontics at Guys and St Thomas’ Hospital in London in 2010. David completed the programme with Distinction in 2014, gaining the MClinDent and MEndo (RCSEd) qualifications. The research David performed as part of his specialist training has been published in an international peer-reviewed journal, the Journal of Endodontics. David is registered with the General Dental Council as a Specialist in Endodontics. He works mainly in private practice accepting referrals for complex root canal treatments. 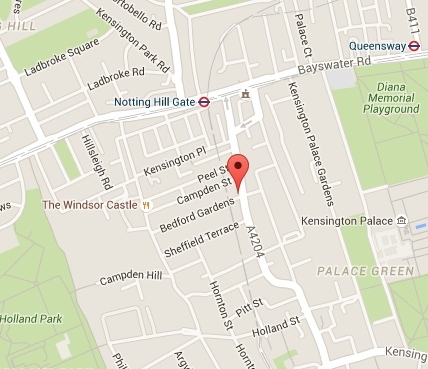 He is also has a teaching role with King’s College London, based at Guys and St Thomas’ Hospital. David teaches endodontics at an under-graduate and post-graduate level. He is a member of the British Endodontic Society. Dr Jones always takes time to explain all treatment options available to patients to ensure that they are fully informed regarding their treatment. He endeavours to provide pain-free, comfortable treatment in a relaxed and friendly manner. David qualified with honours in Dentistry from the United Medical and Dental Schools of Guy’s and St Thomas’s in 1985. He then joined the 3 year Orthodontic Postgraduate Training Program at the Eastman Dental Hospital and was awarded a Master of Science degree in Orthodontics from the University of London in 1993. In 1994 he was awarded Membership of the Royal College of Surgeons and gained the distinction of the Gold Medal for clinical excellence. David is involved in clinical teaching and lecturing in orthodontics to postgraduate orthodontic trainees at King’s College hospital and also in research into new methods of orthodontic care, he has also lectured internationally on numerous occasions. 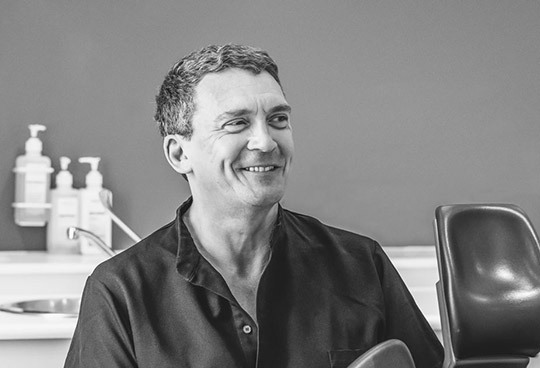 As well as general adult and paediatric orthodontics David also works with maxillofacial surgeons to correct severe problems of misalignment of the jaws and teeth. Evdokia Chasioti is a graduate of the Department of Dentistry of the historic Aristotle University of Thessaloniki in Greece. 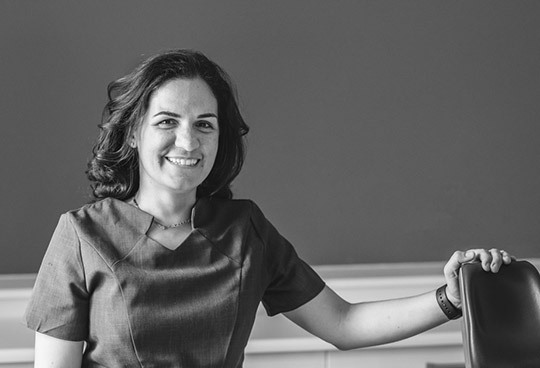 Following her qualification as a doctor of dental science, she joined private dental practices in Thessaloniki, where she was involved in complex dental cases. In 2009, she joined the three year postgraduate specialist training program in Periodontics and Implant Dentistry at the prestigious University of Medicine and Dentistry of New Jersey (Rutgers School of Dental Medicine). Dr. Chasioti served as the Chief Resident of the department and she obtained her Masters of Dental Science in Periodontology with distinctions. She was awarded with Dr. Michael J. Deasy’s Endowed Scholarship for her commendable academic performance. She is registered with the General Dental Council and she is officially recognized by the General Dental Council UK, as a Specialist in Periodontology. She is also a Specialist Clinical Teacher in Periodontology at King’s College London. Dr. Chasioti has made significant achievements beyond the mandatory educational requirements of the specialty and became a Diplomate of the American Board of Periodontology completing successfully a rigorous examination, covering all phases of periodontal disease and its treatment, including dental implants. Dr Chasioti is the only specialist in London who is certified to use the Pinhole Gum Rejuvanation! Dr. Chasioti is committed to practicing the highest level of dentistry based on her diverse expertise in numerous periodontal and implant procedures. Additionally, she is an international member of the American Academy of Periodontolgy and a member of the British Society of Periodontolgy and the International Team of Implantology. Dr. Chasioti believes in the evidence -based dentistry and considers the team approach fundamental to recreating stunning smiles, with state-of-the-art procedures. Mr Jonas Osher is a consultant Oral and Maxillofacial Surgeon specializing in surgery of mouth, face, jaws and neck. He gained degrees in both medicine and dentistry and was awarded a distinction by the University of London. He has trained in general surgery, plastic surgery and ear, nose and throat surgery, before completing specialist higher surgical training in Oral & Maxillofacial Surgery in London. He was awarded the fellowship to the Royal College of Surgeons. ​Having trained in most major London hospitals he now concentrates his work at Kings College Hospital and London Bridge Hospital where he is a consultant. King’s is London’s premier teaching hospital as well as a major trauma centre for London and the southeast of England. 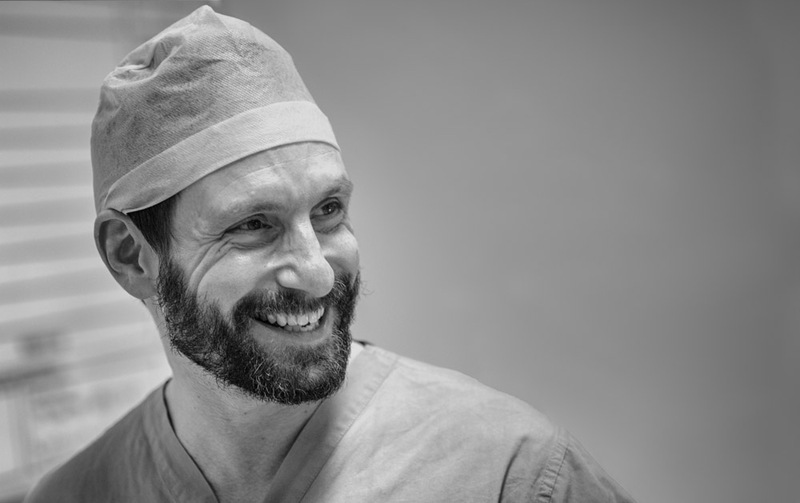 ​Mr Osher has also completed a number of advanced surgical fellowships in cosmetic facial plastic surgery and trauma in leading European centres. He has published a number of journal papers and written book chapters in his specialist field. Sarah qualified as dental hygienist from Leeds Dental Institute in 1994. She was gained a wealth of experience from her early days in the North of England to her current position in London. Sarah’s patience and gentle but thorough care is renowned amongst her patients and she prides herself on motivating them to continue the good work outside of the practice. Nathalie has gained experience in several areas of dentistry including hospital, private and NHS practice. 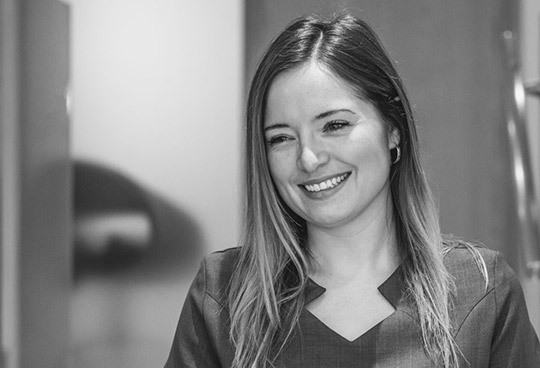 Nathalie began her career as a dental nurse before moving to London to realise her ambition and progress to become a Dental Therapist graduating from Barts and the London School of Medicine and Dentistry. She is always looking to expand her skills with specialist courses and enjoys keeping up to date by being a member of various dental societies. Nathalie prides herself on being gentle yet thorough with her approach to the treatment she provides. In her spare time Nathalie enjoys keeping fit at the gym, visiting art and photography exhibitions and is a keen traveller. 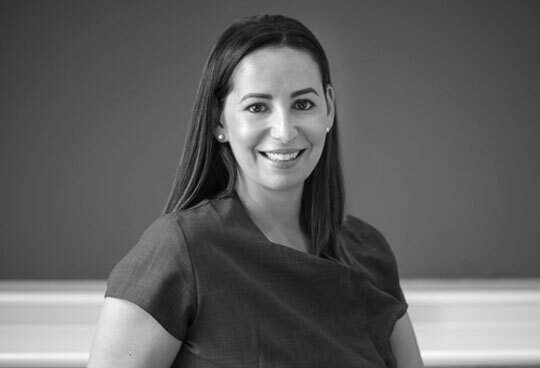 Suzannah graduated from Sheffield University, with distinction, in Dental Hygiene-Therapy and has been treating patients of all ages for the past ten years in various locations including Knightsbridge, Marylebone and now more recently at “The Kensington Dentist”. 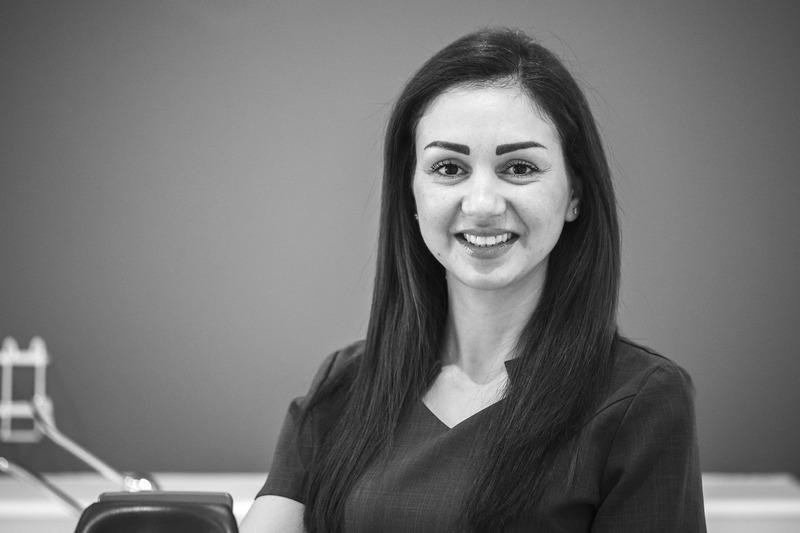 Suzannah is passionate about providing tailored hygiene programmes and whitening treatment to the highest standard in a relaxing and calming atmosphere and offers direct access when required. 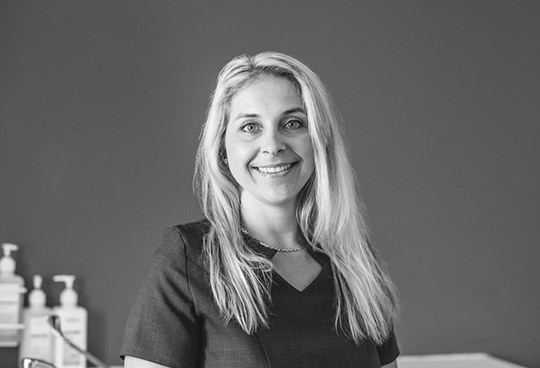 Suzannah is particularly interested in the treatment of nervous patients and children and uses gentle cleaning techniques during her treatments with preventative advice to ensure good oral health. Outside her clinical role in 2016 Suzannah co-founded “The British Association of Cosmetic Dental Professionals” and regularly undertakes postgraduate study and courses to ensure she is at the forefront to deliver the highest level of patient care. Prior to her dental training Suzannah graduated as a food scientist specialising in the provision of nutritional advice. This has formed the basis for her dietary recommendations to patients to ensure good oral health. After a BSc in Psychology at Royal Holloway, Natasha qualified as a Dental Hygiene-Therapist with First-Class Honours from Cardiff University in 2016. Natasha was awarded several undergraduate prizes for her work. Her passion lies in preventive healthcare. During her time in practice she has worked hard with her patients offering tailored treatment to maintain optimum oral healthcare. This, she strongly believes, can help to achieve an overall healthy body and mind. Natasha’s emphatic, caring and friendly nature helps ease particularly anxious patients. Her enthusiastic personality motivates children as she takes prides in educating and bettering their future dental health. Outside of work Natasha volunteers during various major events, including the UEFA Championship League Final, the London 2012 Olympic Games and the London Marathon, as well as performing Kathak, a classical Indian dance, at live shows and weddings. Marcela was born in the Czech Republic and moved to London in 2004, qualifying as a dental nurse in 2010. She has a passion for nursing and she is highly experienced in all areas of dentistry. The care and thoughtfulness she shows to the patients reflects on the positive responses she has received over many years. Macleen is a specialist dental nurse who gained her Dental Radiography and Dental Sedation Nursing certificates from King’s College London in 2014. She has several experience in all aspect of dentistry including private, hospital and NHS practice. She is always keen to expand her skills as she will be studying to become a orthodontic therapist which will commence in 2019. 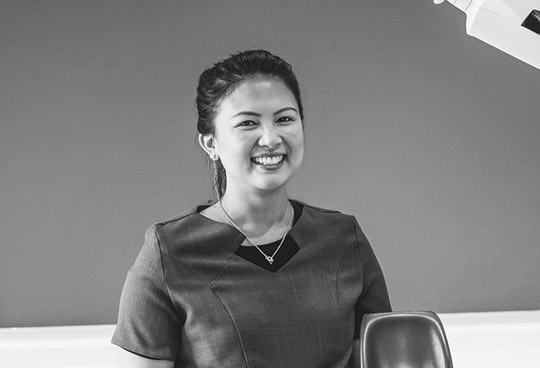 This is a full time course but Macleen will remain a member of the team as she enjoys working in a friendly environment and work closely with the orthodontist. Macleen maintains high standard quality care and put patients at ease in a relaxed and friendly manner. 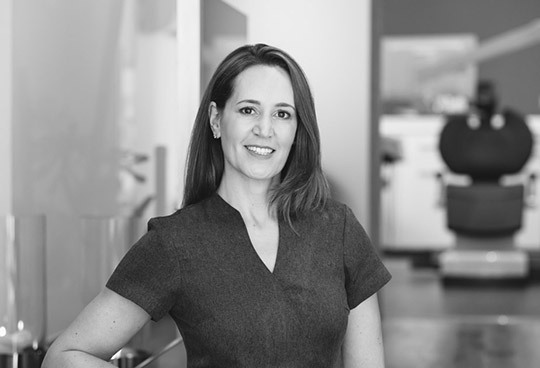 She believes that listening and building great relationship with our patients is a big part of what makes The Kensington Dentist special. Arezoo came to the UK in 2003 and have been working as a dental nurse since 2013. She gained her Oral Health Education Certificate from Kings College and she completed A-levels in Biology and Chemistry with distinction last year. 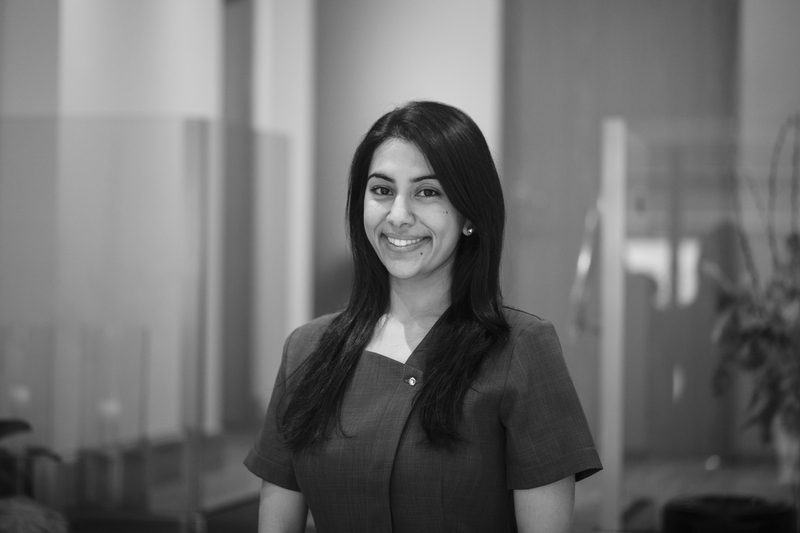 Arezoo’s interest in learning new skills and gaining new experiences has led to her working for many dental practices mainly in Central London, assisting specialists in periodontics, endodontics and orthodontics. She enjoys traveling and learning about different cultures. She also enjoy walking, reading books and she is a huge animal lover. Odina moved to London 6 years ago and studied Medical Science and Health and Social Care before she decided to dedicate her career to the dental field, graduation in NEBDN Dental Nursing 2016. She loves interacting with people, so reception is her favourite place to be. Odina is the first person to welcome our patients and always has a smile on her face. She is passionate about providing the best care for our patients, making them feel comfortable while dealing with their enquiries. With more than 4 years of experience in dentistry and medical reception, you will appreciate Odina’s gentle demeanour and her thorough and efficient manner at the front desk. She is also fluent in Russian and in her free time she enjoys tennis, salsa lessons and travel. 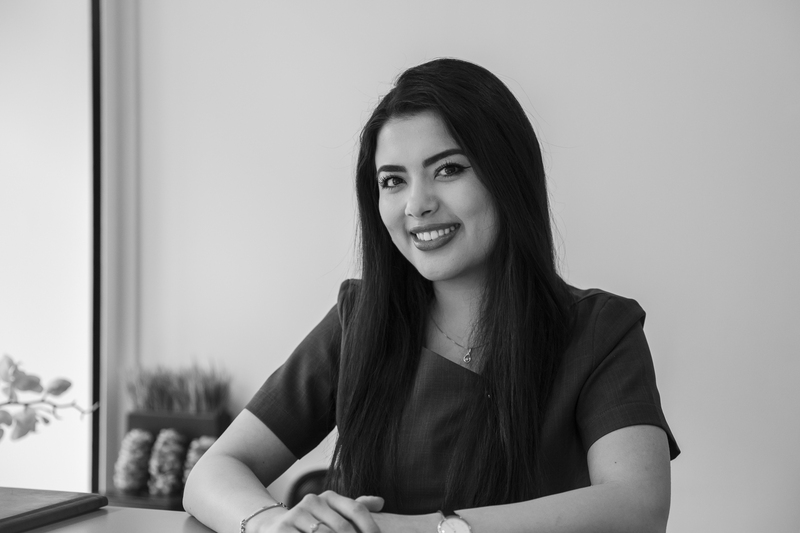 Ecaterina is the first person to meet our patients and welcome them into our practice. She is taking care of registering patients,scheduling appointments, monitoring patients progress, answering patient’s’ questions and filing insurances for our patients’ convenience. She eases ours patients’ concerns and anxieties during their visits. Born in Romania, Ecaterina came to London in 2011, after studying marketing and management in Spain for 2 years. She qualified as a dental nurse in 2017 after 2 years of experience in dental nursing and reception. She is kind and friendly, enjoying communicating and interacting with people! She is always happy and ready for challenges, and loves new experiences! In her personal life, she loves dancing, reading and watching movies.